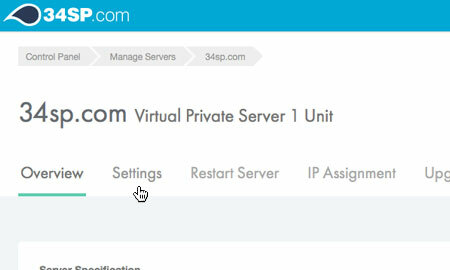 This is a quick step-by-step walkthrough for updating the hostname and password of your Virtual Private Server (VPS) via the 34SP.com Control Panel. 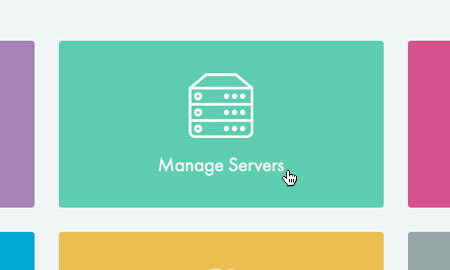 After you have clicked on the server you wish to edit, you will be presented with the 'VPS Overview' page. Please click on the tab labelled 'Settings'. The 'Settings' page is split into 2 forms, 'Hostname' & 'Password'. 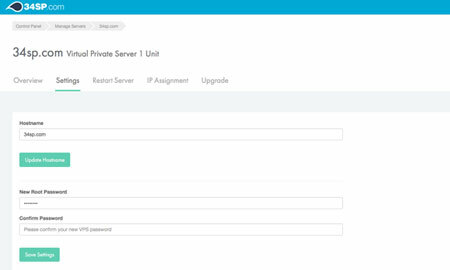 If you make any changes to the 'Hostname' field, simply click on the button labelled 'Update Hostname' to save your changes. 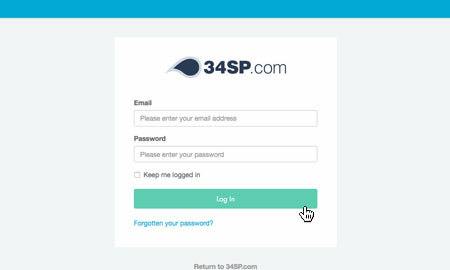 Similarly, if you make any changes to the 'Root Password' fields, simply click on the button labelled 'Save Settings' to update your password.